SHERYL AND I went to One last night after a long and productive day at the store. Doing seven lessons in a row is a lot of fun but it does make your head swim. Sheryl had ulterior motives, of course, because one of her favorites musicians, Logan Kammerer, was playing. The guy is amazing. He can play and sing and he has great original songs. 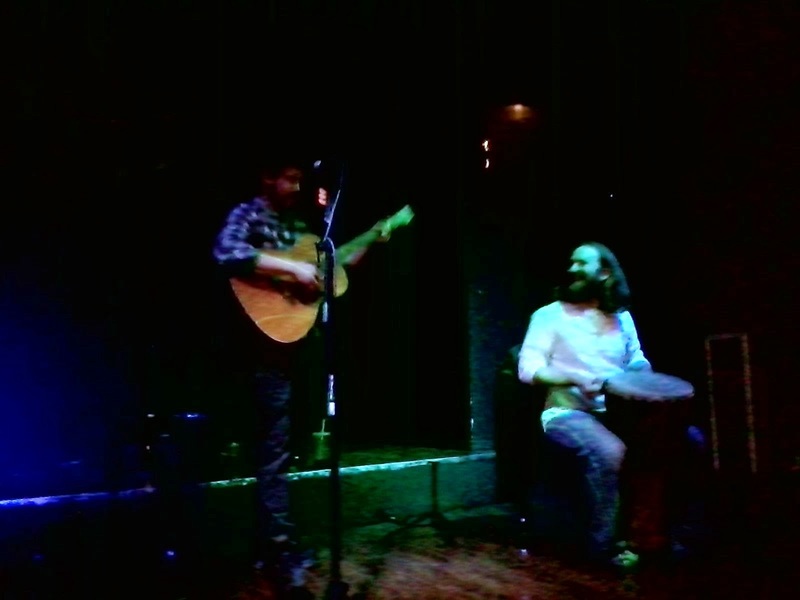 He was joined by Paul Wood of the band Seven Days Fuller on percussion, and they were having more fun than should be allowed. Logan also ensured his entry in to the Second String Music Hall of Fame by playing some really cool covers. Anybody who can pull off Wang Chung's "Dance Hall Days" deserves a medal. I will give you a free set of picks if you can tell me the album, and NO Googling allowed. Then he played Simon & Garfunkel's "America" and I about cried. Thank you, Logan, for a great night. The talent in this town never ceases to amaze us.